The All-American Bowl, formerly sponsored by the U.S. Army, takes place Saturday at noon in the Alamodome. It’ll air on NBC and that means Texas gets a sneak preview of its future Longhorns like it did last year when signees like Caden Sterns and Anthony Cook participated. It’s a chance to finally see elite prospects take on other elite talents in true football settings. Pads aren’t used at the camps, neither is 11-on-11 football. It’s the last chance for each of these players to suit up before embarking on a college journey. Six of those players are signed with Texas. The early period stole some glamour away from the all-star games. The push to sign early results in fewer live commitments and hat ceremonies. Instead, it’s a chance for players to celebrate their careers, begin a bond and compete one last time before millions of fans being watching on Saturday. Whittington is fresh off scoring six touchdowns in the Class 4A Division I state championship game. He also recorded a game-high 11 tackles and was named the MVP on offense and defense in the win. Cuero is a short drive to San Antonio and plenty of Whittington fans should be in attendance. He’ll enroll at Texas in the weeks following the game and says he hopes to be used as a slot receiver and in a role at running back. Floyd is already in Texas and even thought about trying to practice with UT for some bowl practices. Instead, he’ll finish his prep career in San Antonio. The four-star began his career in the secondary before growing into a linebacker. He’ll take part in spring practice and immediately compete for snaps with Gary Johnson and Anthony Wheeler set to depart. Owens is an intriguing prospect who gets a chance to prove himself on the biggest stage. Much like DeMarvion Overshown in 2018, Owens wasn’t at the elite camps and doesn’t play at a school known for producing a ton of talent. He slipped through the rankings until his senior season and Texas offered after a strong showing at a summer camp on campus. This is the first time we’ve seen Owens around other elite talents. 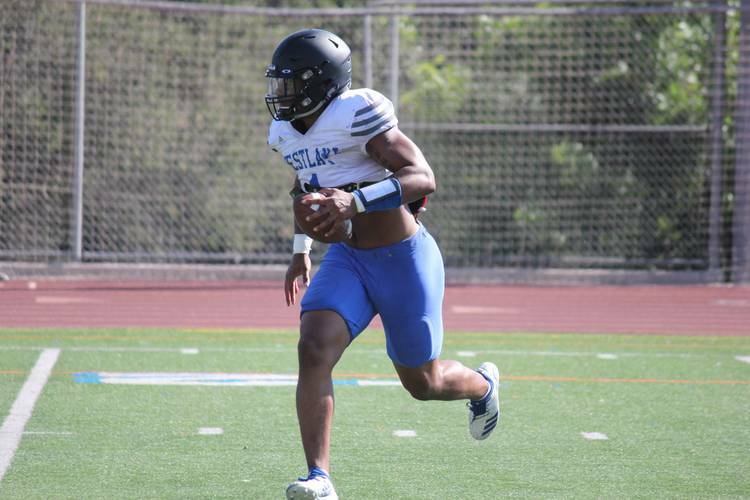 The storyline of the week surrounds the decision of the nation’s top uncommitted prospect — it’s either USC or Texas for McCoy. The Longhorns were quietly confident about their chances with the out-of-state star throughout the process, even hosting him when Texas beat USC. Keeping Clay Helton as head coach, and hiring Kliff Kingsbury as offensive coordinator, has kept USC in the driver’s seat and the favorite to gain his pledge when he announces during the game. Tomorrow’s Dotted Line: Coverage from the first day of All-American practices.